The Summer 2015 Collection from Urban Decay is packed full of amazing shades, fantastic formulas and stand-out packaging. Unlike the standard summer collections you'll see from brands which are themed around bronzed complexions with stereotypical summer themes, Urban Decay are standing out from the crowd with a unique and bold take on summer makeup. It's no secret I am besotted with Urban Decay lip products. 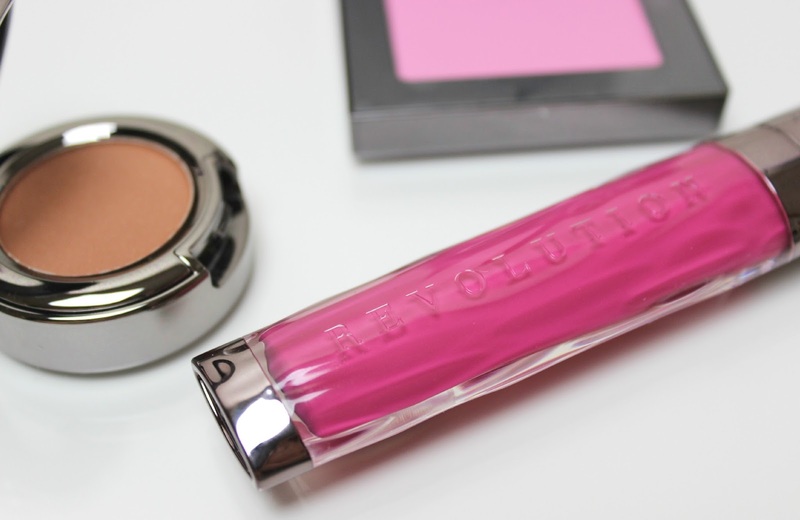 Not so long ago I shared a post all about my love for Urban Decay Revolution and Sheer Revolution Lipsticks (see here), which are some of my favourite lipsticks ever. A lip product I have never tried before from Urban Decay is lip gloss, so I'm pretty excited that the summer collection features the new Urban Decay Revolution Lipgloss (£15). With 14 gorgeous lip gloss shades with cream and sparkle textures, there's everything from subtle nudes and pinks to bold purples and deep berry shades, as well as classic reds; literally a shade for any taste! I've been trying out Scandal, which is a delightful bright pink with amazing colour pay-off. Seriously intense opaque colour, it's almost like a gloss-liquid lipstick hybrid! The packaging is completely unique to any other glosses in my beauty stash; a flat pocket-friendly design with Revolution texturing, an opaque center to see the shade with the classic Urban Decay gunmetal for top and bottom finishing touches. With a doe-foot applicator I found Scandal super easy to apply, and it works so well with my bolder pink lipsticks! Featuring a Pigment Infusion System, they have a soft and creamy texture and pretty darn good lasting power, too! Urban Decay are most loved for their eyeshadows, and it's only recently I've started dabbling in their single shadows. Joining the summer collection are 8 Urban Decay Eyeshadow Shade Extension shadows (£14), which includes a range of matte, micro-sparkle and shift finishes. Like the lipgloss range, they feature the Pigment Infusion System which gives them intense pigmentation for lovely long-lasting opaque colour, with a velvety soft powder formula that applies beautifully and blend super easily for a professional finish. I've been trying out Riff, a brown matte with micro-sparkle finish, that has subtle warming undertones. Last but not least, and easily my favourite product in the summer collection, I am completely head-over-heels besotted with the Urban Decay Afterglow 8-Hour Powder Blush (£19). Described as a fool-proof way to apply blush for an effortless, radiant look, the Afterglow blushes are presented in a custom Urban Decay gunmetal compact with a fishnet top with the Urban Decay logo, so you can see the shade of the blush through the fishnet section. 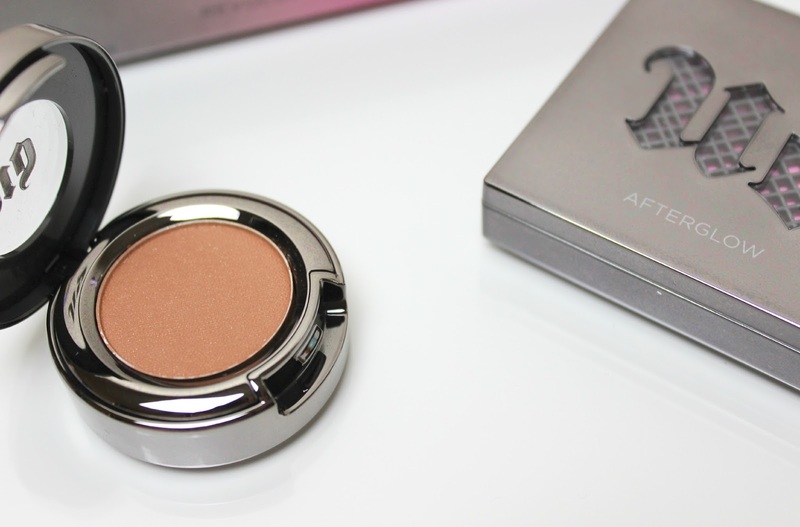 With a finely milled powder that has a super soft formula with no fallout whatsoever, the Afterglow blush provides flattering colour that creates a soft, natural looking finish, but can also easily be built up for more intensity. 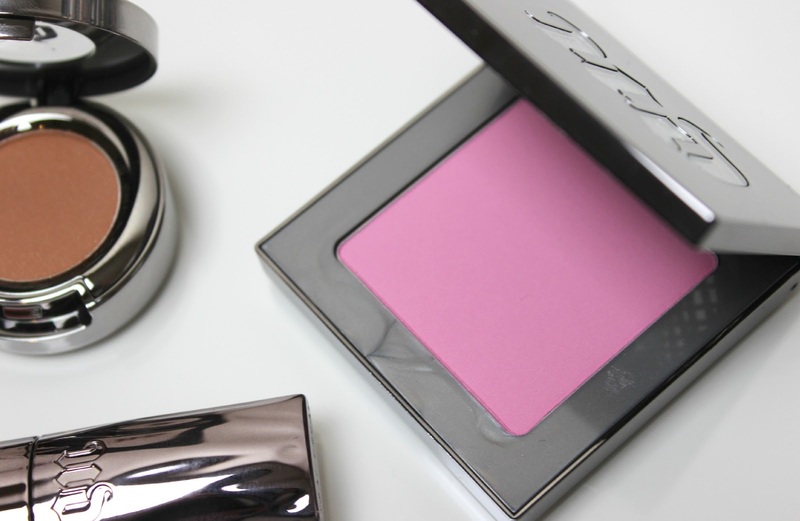 I've been trying out Obsessed, a soft pink which is incredibly beautiful and I am just completely besotted with; it works with any look, is so flattering and just so, so easy to apply and blend. Could this be the start of a new blush range obsession? What do you think to the new Urban Decay Summer 2015 Collection? I've never tried any Urban Decay products before. I might have to give them a try! The blush looks so fun! Was expecting a bit more of a punchy eyeshadow, though. 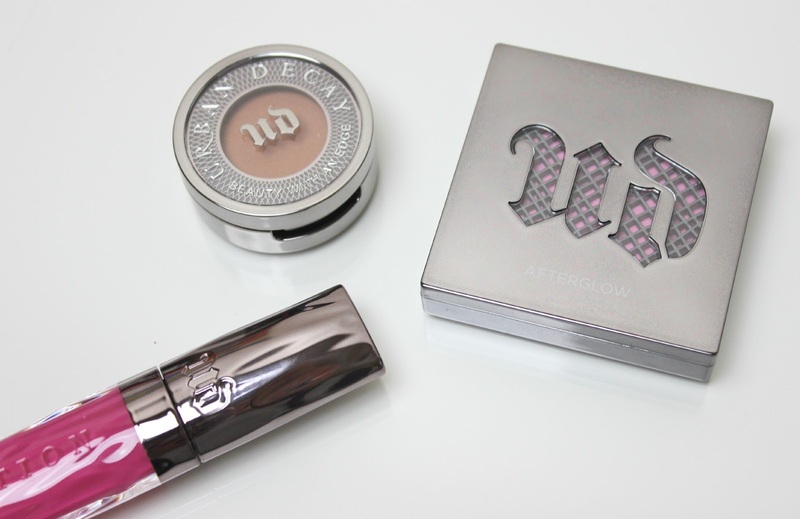 I'm completely in love with Urban Decay and so I was thrilled to see they were launching several new products for summer. The lipglosses are beautiful although i'm unsure how much use I would get out of them being more of a matte lip kinda gal, but the blushes have just stolen my heart. Each shade is gorgeous and I can definitely see myself coming slightly obsessed and picking up the majority of the shades!